Speaking at the Vietnam Business Forum (VBF) in Hanoi on December 12, Phuc said that it was the business community who would shape the Vietnamese economy in the coming decades. They are an important driving force to realize the country’s aspirations for prosperity, according to the Prime Minister. The business community contributed to boosting Vietnam’s gross domestic product (GDP) from USD 27 billion in 1997 to an estimated USD 220 billion this year, Phuc said, adding that the country planned to reach a GDP of USD 300 billion in 2020. Phuc said he had high hopes for a new generation of businesses and entrepreneurs. 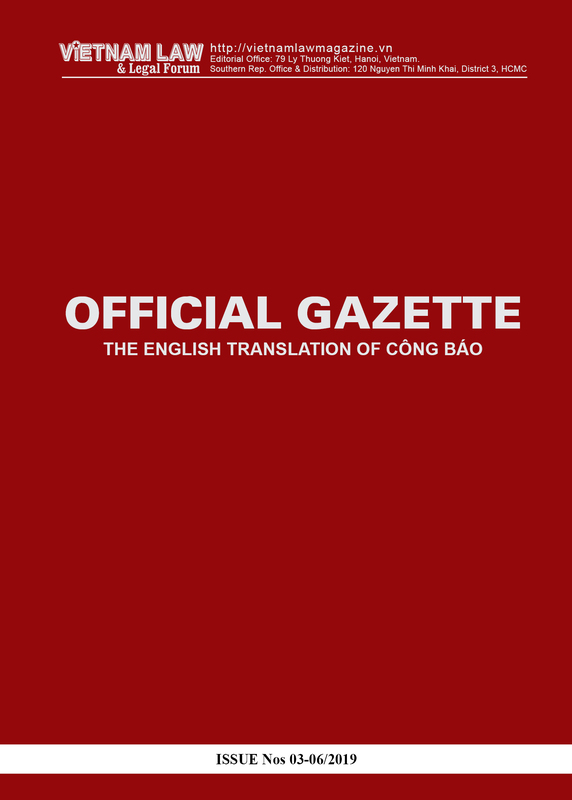 He acknowledged that most Vietnamese businesses still operated on a small scale. 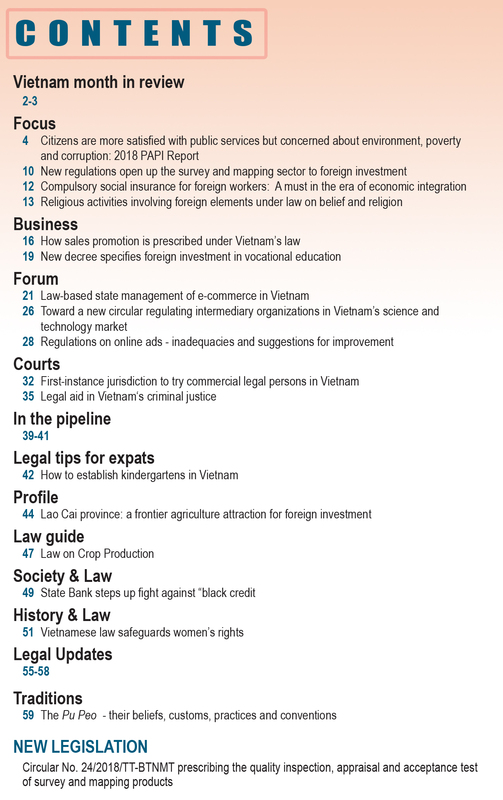 “How to enable Vietnamese firms to grow to international reach has been a top concern of the Government,” he said. Phuc urged businesses to strive to improve their competitiveness by enhancing their corporate governance and applying modern technologies. He added that the Government always encourages fair competition among firms. “Capital- and labor- intensive production models are no longer appropriate in an era of rapid technological growth and international integration. Instead, the knowledge-based model prevails, requiring Vietnamese firms to adapt,” Phuc said. 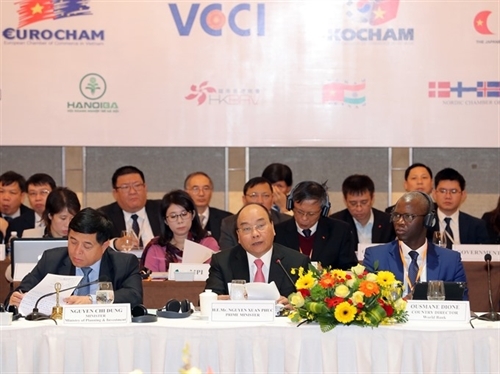 Phuc welcomed investors to do business in Vietnam but stressed that the country would strictly punish those violating laws, especially those who bring environment pollution, negative impacts on the country’s traditional cultural and social values and labor abuse. Phuc said that the Government would give priority to investments in infrastructure, stabilizing the macro-economy and improving the transparency and efficiency of institutions to ensure social advancement - the key to promoting economic growth and an expansion of the middle class. A number of proposals were raised at the VBF to enhance productivity, improve the business climate and promote the development of the private sector. 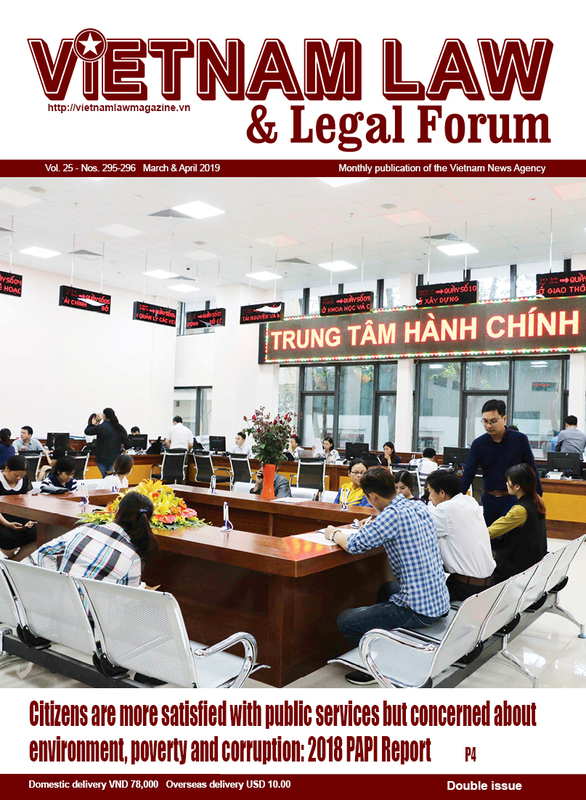 Vu Tien Loc, Chairman of the Vietnam Chamber of Commerce and Industry (VCCI), said that businesses were still struggling with a number of difficulties in administrative procedures, wage increases outpacing productivity growth and burdensome fees. “Vietnam should hasten the efforts to cut business prerequisites, reform the procedure of specialized checks during import and export and reduce costs for businesses,” Loc said. According to Ryu Hang Ha, Chairman of Korea Chamber of Commerce (KoCham) in Vietnam, the Government should increase funding for research and development (R&D) of small- and medium-sized enterprises and startups as well as develop policies to encourage their investments in R&D. KoCham also proposed clearer regulations regarding social insurance for foreign employees and minimum capital for foreign-invested companies. According to the American Chamber of Commerce (AmCham), a number of investment opportunities were not realized due to problems relating to a lack of transparency and complicated licensing procedures. Natasha Ansell, Chairwoman of Amcham, stressed that Vietnam should attract private investment for major projects to help improve the overall financial situation of the country. She said that it was urgent for the country to attract private investment in the power sector, which could amount to billions of dollars if the Government had appropriate policies. In addition, Vietnam needed to modernize the transportation sector to catch up with rapid technological growth. Hiroshi Karrashima, Chairman of the Japanese Chamber of Commerce and Industry, said that the lack of transparency in administrative management would undermine the attractiveness of Vietnam to investors. “We hope the Vietnamese Government will have stronger measures to tackle this issue,” he said. Minister of Planning and Investment Nguyen Tri Dung said that the market expansion from the signing of free trade agreements and approach to industry 4.0 technologies would bring opportunities for Vietnam to engage in the global value chain and speed up the process of industrialization and modernization.